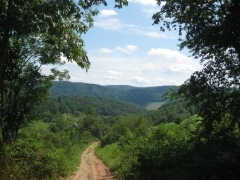 3.95 Acres - Nice mountain land off of Blowing Cave Rd with awesome bluff views. Build your dream house on this Alabama owner financed land and have views that will make your friends jealous! Just outside of Huntsville and not too far from Hampton Cove, this property is in an ideal location for investing and growth.